Protecting Washington State’s environment for current and future generations is what we do every day at Ecology. We have a culture that is invested in making a difference. If you want to join a team that is highly effective, collaborative, has leadership that embraces the value of people, Ecology is a good fit. The Hazardous Waste and Toxics Reduction (HWTR) program is looking to fill an Administrative Assistant (Administrative Assistant 3) position. This position will be located in our Northwest Regional Office (NWRO) in Bellevue, WA. The Administrative Assistant serves as principal assistant to the NWRO Section Manager with the delegated authority and responsibility for administrative matters, providing efficient skills and communication affecting the Section Manager as well as the HWTR-NWRO Corrective Action Unit Supervisor, the Compliance Unit Supervisor, the Toxics Reduction Unit Supervisor, and 27 professional and technical staff within the NWRO section. We are looking for applicants who possess excellent inter-personal, computer and technical skills with the ability to work independently and reprioritize tasks as needed in order to successfully support the team, and enjoy being part of that team. The Hazardous Waste and Toxics Reduction (HWTR) Program is made up of people dedicated to fostering sustainability, preventing pollution, and promoting safe waste management. 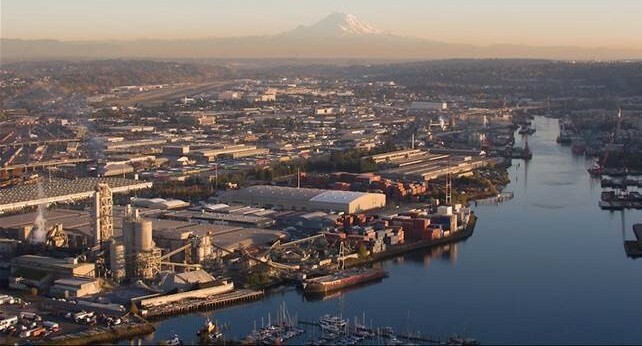 We do many different things in a coordinated approach to protect people and the environment of Washington State from hazardous waste pollution. The Administrative Assistant independently provides high level confidential administrative support for the Hazardous Waste and Toxics Reduction Program for the Northwest Regional Office Section Manager. Serves as principal assistant to the NWRO Section Manager with the delegated authority and responsibility for administrative matters including, providing efficient skills and communication in matters affecting the Section Manager. Independently maintains section manager’s calendar, including arranging, scheduling and prioritizing meetings using Outlook calendaring. Schedules meetings at NWRO using online conference room scheduler, and sets up conference calls and video conferencing assisting in the logistics such as equipment reservation, working lunches & ordering supplies. Attends staff meetings, takes meeting notes and provides meeting follow-up information. Makes travel arrangements for section manager and program staff, including all logistics of travel, plane tickets, lodging reservations, and rental vehicles. Provides interpretation or explanation of the supervisor’s policies or viewpoints. Has been delegated responsibility for the following assigned budget areas: Lab sampling, Other contracts/purchase services, Printing and invoices, Memberships, Other goods and services, and Equipment – participates in annual budget development, estimates expenditures, controls spending, approves expenditures and provides quarterly status reports to the section manager. As Purchase Coordinator, uses independent judgment to maintain an inventory of office supplies, furniture & field equipment. Follows purchasing guidelines for contractual items and competitive pricing to order supplies using the PTS (Purchase Tracking System). Independently organizes the hiring process for the section and unit managers within HWTR-NWRO section. Coordinates & prepares personnel actions (arranging interviews, candidate notifications, and final personnel packages for new hires or promotions). Manages the transition for new hires within the section by ensuring necessary paperwork for new hires is completed in a timely manner during the New Employee Orientation. Uses independent judgment to track time-sensitive projects to include executive correspondence, keeping the section manager informed of significant issues and status of projects. Serves as a liaison between supervisor and other staff members by relaying assignments from and to the supervisor and requesting status information for the supervisor. Creates and maintain files and filing systems for administrative files and technical data documents. Archives files following the state record retention schedule. Composes and proofreads letters and memos for section manager’s signature following agency standards and good business practice. Tracks and prepares information, as necessary using Microsoft Word, Excel, PowerPoint, Outlook, and SharePoint. Performs complex word processing tasks such as inputting, formatting, and editing letters, memos, and technical reports for 27 professional & technical staff. High school graduation or equivalent AND three years of increasingly responsible administrative/secretarial experience supporting mid or executive level management. Proficient in the use of computers, including Microsoft Word, Excel, Access, and PowerPoint to create, format and edit a variety of products, track budgets, and organize work. Experience in Records Management both hard copy and electronic file experience. Must be able to use independent judgment with regard to administrative duties and daily tasks. Must be able to compose routine correspondence for section managers, unit managers and staff. Must be able to take meeting minutes/notes. Have experience in and be able to proofread and finalize formal documents with a high degree of accuracy. This includes proofreading and editing written material, identifying and correcting errors in grammar, improving clarity, composition, flow, organization, content, punctuation and spelling. Must be organized and able to keep track of multiple activities which include the ability to prioritize and perform multiple tasks in the same timeframe, handle interruptions appropriately, and return to incomplete tasks. Must be discreet & maintain confidentiality, including the management of confidential information. Must readily take initiative to do work without prompting. Must be organized & able to keep track of multiple activities which include the ability to prioritize & perform multiple tasks in the same timeframe, handle interruptions appropriately, and return to incomplete tasks. Proficient in the use of computers and software, including: Microsoft Outlook calendaring, Word, Excel, Access & Power Point. Must be able to proofread and finalize formal documents with a high degree of accuracy. This includes proofreading and editing written material, identifying and correcting errors in grammar, improving clarity, composition, flow, organization, content, punctuation and spelling. Maintain professional working relationships with peers, co-workers and the public that are collaborative and respectful. Event planning and meeting management experience. A resume outlining your professional clerical experience. If you need assistance applying for this job, please call Human Resources at (360) 407-6186 or e-mail careers@ecy.wa.gov. Please do not call this number or send an email to this address to follow-up the status of your application. You can view the latest status of your application on your profile’s main page. If you have specific questions about the position, please email Raman Iyer at: Riye461@ecy.wa.gov. Please do not contact Raman to inquire about the status of your application. How did you learn about this job posting? If you selected Community Based Organization, Community / Technical College, Job Board, Job Fair, LinkedIn Group, Newspaper, Other State Agency, Other Website, Professional Association, Radio, University Job Board or WorkSource location then please share which one. Do you have at least three (3) years of increasingly responsible administrative/secretarial experience supporting mid or executive level management. Are you proficient in the use of computers and software including: Outlook Calendar, Microsoft Word, Excel, Access and PowerPoint to organize work and create, format, and edit a variety of products and presentations? Are you able to proofread and finalize formal documents with a high degree of accuracy? This includes proofreading and editing written material, identifying and correcting errors in grammar, improving clarity, composition, flow, organization, content, punctuation and spelling.